A day later, it hadn’t quite sunk in for Mariano Rivera. Being elected to the Hall of Fame, yes. But being the first unanimous selection? The legendary closer is still processing that one. Rivera’s devastating cutter helped him accumulate a record 652 saves in his 19-year career with the Yankees. He’s hopeful he can use the attention he’s received for being a unanimous pick to do something for the youth of New Rochelle, where he and his family settled early in his career and have resided since. 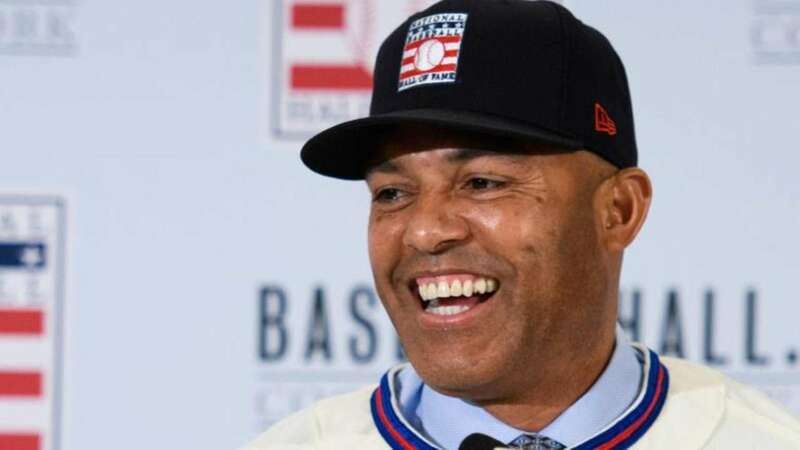 It was among the serious notes struck during a mostly lighthearted gathering, with the new Cooperstown class clearly enjoying each other’s company. Rivera was joined on the dais by Mike Mussina, a former Yankee teammate, and Edgar Martinez. Roy Halladay, who died in a plane crash in November 2017, also was part of the quartet elected in results announced Tuesday night. Martinez’s success against all three pitchers – Rivera and Mussina especially – provided fodder for much of the afternoon’s humor. Martinez went 11-for-19 with three doubles and two home runs against Rivera. When he was asked about his “.579 average” against him, Rivera interrupted the question. Mussina, against whom Martinez slashed .307/.337/.627 with five homers in 83 plate appearances, including the postseason, chimed in. Rivera turned again to Martinez. In the same back-and-forth, Martinez recalled the 2001 ALCS, which the Yankees would win in five games. Rivera came on in Game 1 to protect a 4-1 lead, but Ichiro doubled with one out and scored on a wild pitch with two outs. Martinez came up as the potential tying run and recalled Rivera’s approach. Mussina couldn’t resist a playful dig at Rivera when asked about his own vast array of pitches.